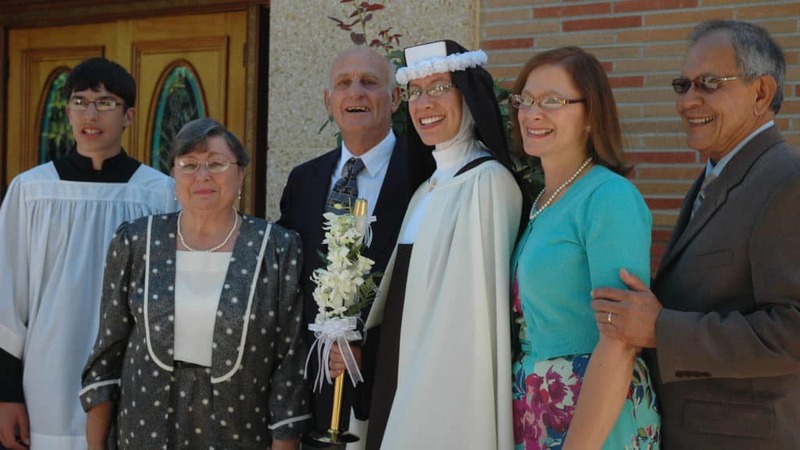 Each day for the past 6 years I have had the great joy and blessing of putting on the Carmelite habit, our ‘bridal gown.’ This wedding gown, however, is far different from the one I pictured myself wearing on my wedding day as a little girl. My mom can testify to the fact that I lived by the motto: ‘the more sparkles, the better.’ Thus, I was constantly seen parading around in mother’s old wedding gown, used for ‘dress up.’ And, of course, my pretend wedding was no normal wedding. It was always a ‘royal wedding’, and I was becoming a princess. Imagine my surprise when Jesus called me to be HIS bride! All the dreams of childhood, of having a royal wedding would come to pass, but in a manner far different than I expected. I am being espoused to Jesus Christ, the King of the Universe! Now, THAT’S a Royal Wedding! But, this King is a different sort of King and Bridegroom. He reigns from the throne of the cross. I mentioned that our habit is our ‘bridal garment’; for Carmelites, it is brown. The brown habit is a color of earth and symbolizes penance. Only in penance and self-denial, fueled by love, will I truly enjoy union with my Bridegroom who emptied and denied Himself for love of us. This brown also reminds me that I am ‘dust and to dust, I shall return.’ Humility is derived from the word ‘humus’ meaning ‘earth or dirt’. I am called to be humble, forgetting myself entirely so that my life can be spent joyfully and generously for others, out of love of Him. And our wedding veil? One might imagine a flowing white veil, but ours is intentionally black as a daily reminder of an important truth indicated by the prayer we say when putting on the veil: “This veil teaches me that I out to die to myself and to the world in order to live entirely for You.” Just like Jesus, we seek to die to ourselves to bring life to others. When I tell Jesus, as His vowed bride, that I want to die to self in order to live entirely for Him, I hear Him saying: “Remain in me, pray in me, adore in Me, love in Me, suffer in Me, work and act in Me.” I’m asking Him to renew His entire life and mystery in me. I want to live no longer I, but I desire that Christ live His whole life in me. Through our vows of poverty, chastity, and obedience we are consecrate to Him in a radical way because this offering is a continual act of worship throughout our entire lives. Just like Jesus, I am saying: ‘Father, Thy will be done in me.’ So, as I prepare for perpetual vows, He reminds me that this is a radical gift of self, FOREVER! And love must be its driving force. Yes, my love for Him, but first and foremost His love for me. He called, He chose. I stand in awe. It is He who will accomplish everything in me, to the glory of God the Father. It was a total shock to both of us when Sister Maria Goretti approached us one night to inform us she was contemplating the religious life. She had expressed to us that she wanted to be a missionary as she had been on mission trips while attending LSU. So we assumed that this was going to be the path she would pursue. Tears of joy and un¬certainty flowed as she told us about her calling. Then I remembered back to when I was on a retreat and six months pregnant with her. The priest began speaking about our Lord and Sister Maria Goretti began to leap in my womb. It reminded me of the visitation between the Blessed Mother Mary and Elizabeth. 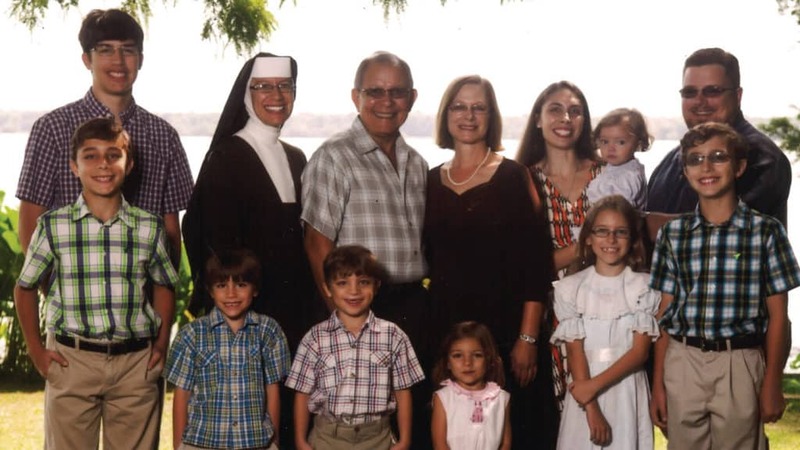 At that moment, it all came full circle for us when Sister indicated she wanted to join the Carmelite Sisters of the Sacred Heart. Our only son had passed away on the feast of the Sacred Heart years earlier with a congenital heart defect. We could feel the work of Jesus’ hand upon us and now started to comprehend his plan for our daughter. While the initial adjustment was difficult because of the distance and limited communication, we take great comfort in Sister Maria Goretti’s immense love of Christ, her happiness and peace. Once we arrived at the convent and met the Carmelite Sisters, we understood why our daughter was drawn to this community. Her vocation has helped us to grow deeper in our faith and has truly been a blessing to our entire family. 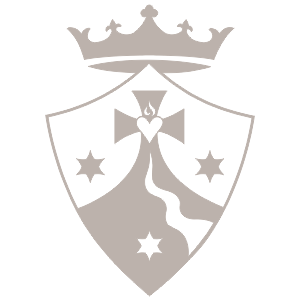 We are very proud of our Carmelite daughter and have em¬braced her vocation. 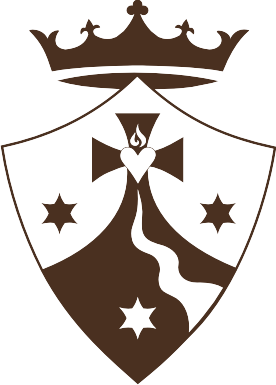 With gratitude to God, we give thanks for the gift of our extended Carmelite family.